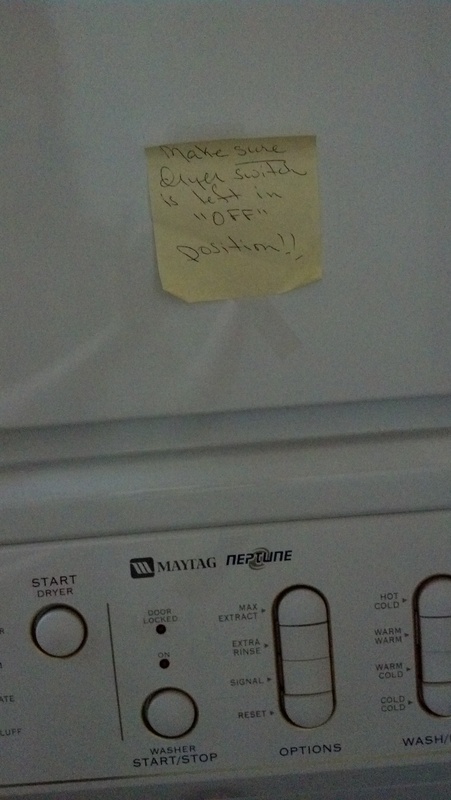 My mother has perfected the art of the helpful reminder. Her medium of choice: Post-It notes. When I was young she used to put Post-Its in my school lunches that said “S.U.S.” = Stand Up Straight. I was tall and slouchy – still am – and apparently needed a reminder to lift my chin off my clavicle. 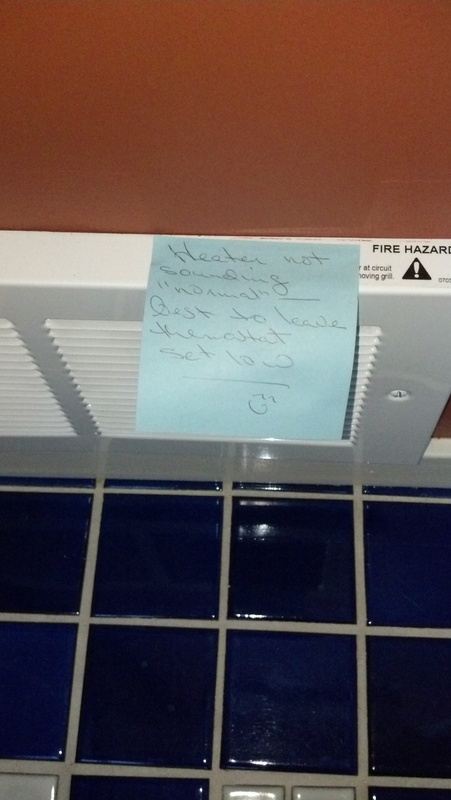 It was a game of sorts to see if I could find the note before it would fall on the floor or get stuck to my shirt and embarrass me in front of my friends. The horror. I say ‘reminder’ because she has usually already conveyed the message to you in person or by phone. 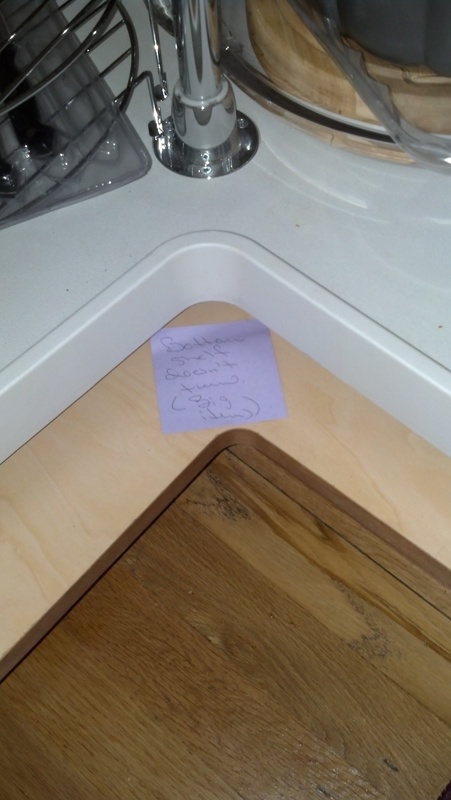 But just to be safe, she will also put it on a Post-It. 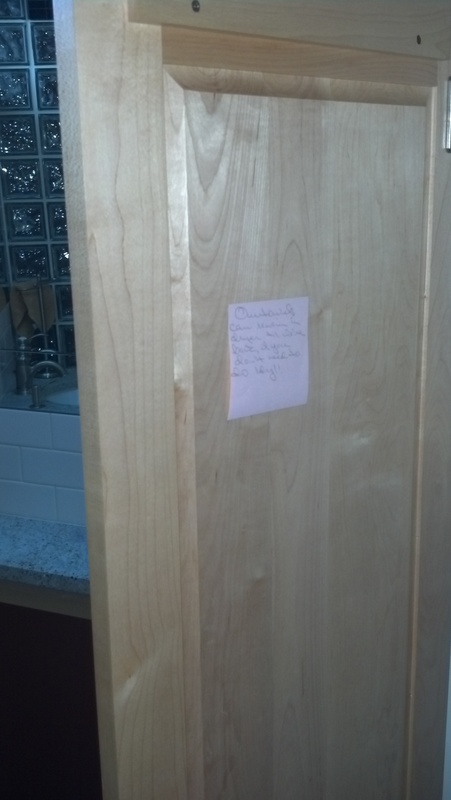 We stayed at my parents’ house this weekend while they were gone and even I was impressed by the number of Post-Its hiding in every nook and cranny. 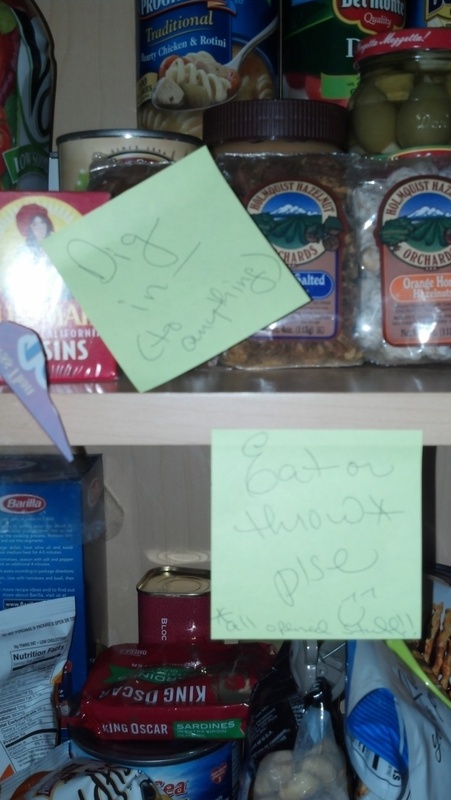 These are reminders about how to open/close a cupboard, or how to keep the windowsill area dry. Very important. And fun like a scavenger hunt, no? Wait, there’s more. They’re so common that after a while you stop noticing them. But this one is my favorite. 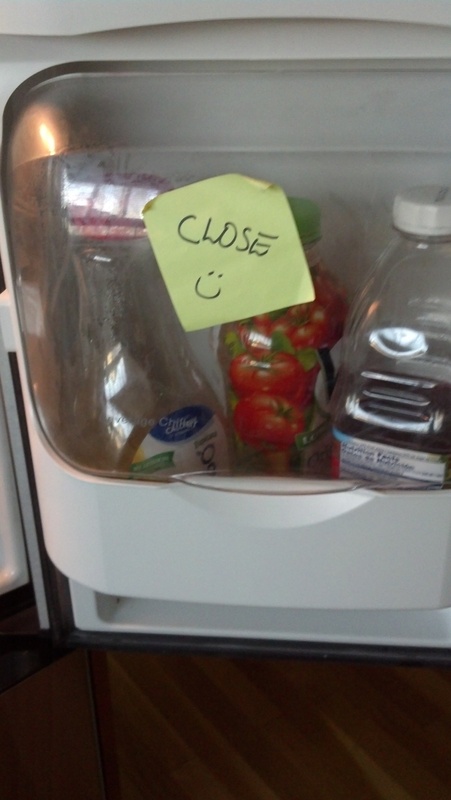 Nevermind that if you failed to close this little compartment, the fridge door wouldn’t even shut. Or maybe that’s her point? I’m just grateful I don’t need to learn that life lesson the hard way. 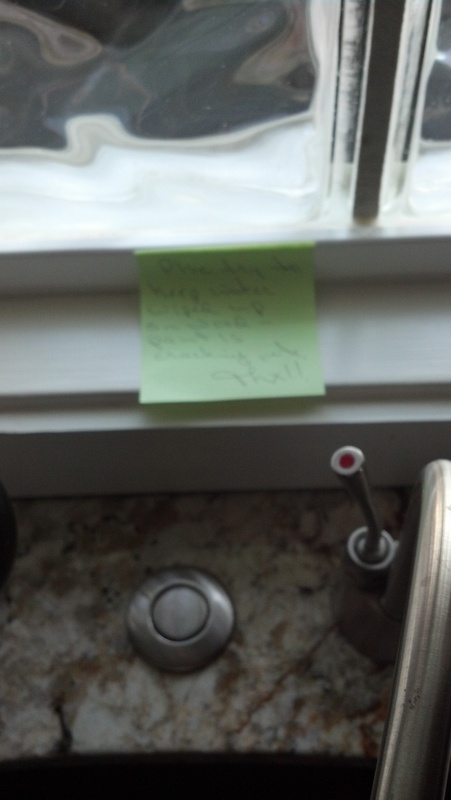 They used to drive me nuts, but the older I get, the more I love those damn Post-Its.